Global Real Estate Investments provides our Clients with the benefit of the State of the Art Print-to-Web campaign demographically targeted to affluent buyers worldwide. We don't just put a sign in front of your home...we put your home in front of the world. When you list your property with Global Real Estate Investments, you put yourself in the capable hands of a highly regarded Real Estate Agency with a thorough knowledge of the local market. Online Exposure for Seller Demands: Our listings are where buyers look: Online! According to Realtor.com, approximately over 90% of buyers first begin their search on the Internet. When you list with us, we ensure that your property receives the best web presence possible by strategically placing your home on high traffic websites like GoGlobalRealEstate.com, Realtor.com, Google, HomePages.com, HomeSeekers.com, Trulia.com, Zillow.com, Yahoo.com, Listhub.com, HotPads.com, Visualshows.com, REIsource.com, SearchtheGlobal.com, as well as our local MLS. 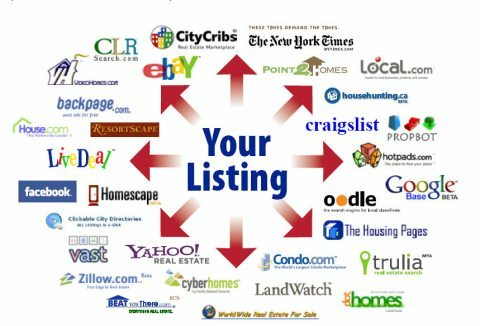 Immediately after your listing becomes active, your property will be placed on all these websites. Online Exposure for Buyer Demands: When it's time to buy, knowing all the pros and cons of a property we can help you make the right decision. Your Realtor® will go beyond the aesthetics and tell you important details about homes you're considering, and that is why, Global Real Estate Investments Professional Realtors is the place for you to begin your search for your dream home. When you work with our Professional Agents their fiduciary responsibility is to you. That means you have an expert who is looking out for your best financial interests, an expert who's contractually bound to do everything in their power to protect you. That's big, the value of that commitment cannot be overstated.